While I applaud Hasbro for taking the time to make action figures based on rather obscure characters in the Marvel Universe line, sometimes it feels like they are neglecting some fairly obvious choices, like say, the complete original X-Men roster. 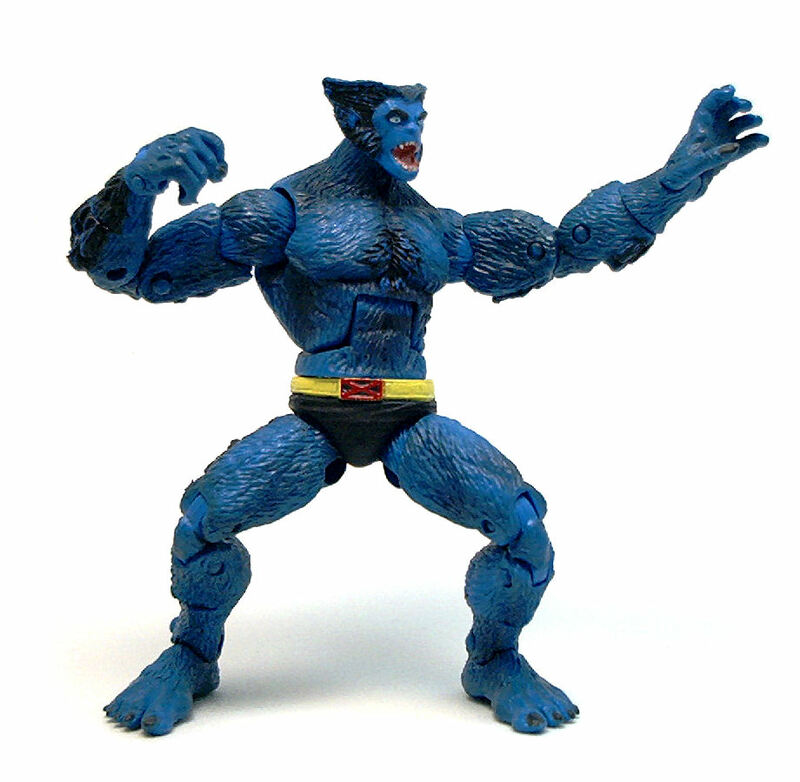 Even though Dr. Hank McCoy is deemed one of the finest minds in the Marvel Universe, he is better known as the X-Man Beast. The original 60’s character design was nothing to write home about, really, and my guess is he wasn’t one of the more popular comic book characters of the decade. That sort of changed in the early 70’s when Beast’s mutation began altering his appearance to the more familiar blue-furred look he sported ever since, before the triggering of his secondary mutation began his change into a more feline creature. 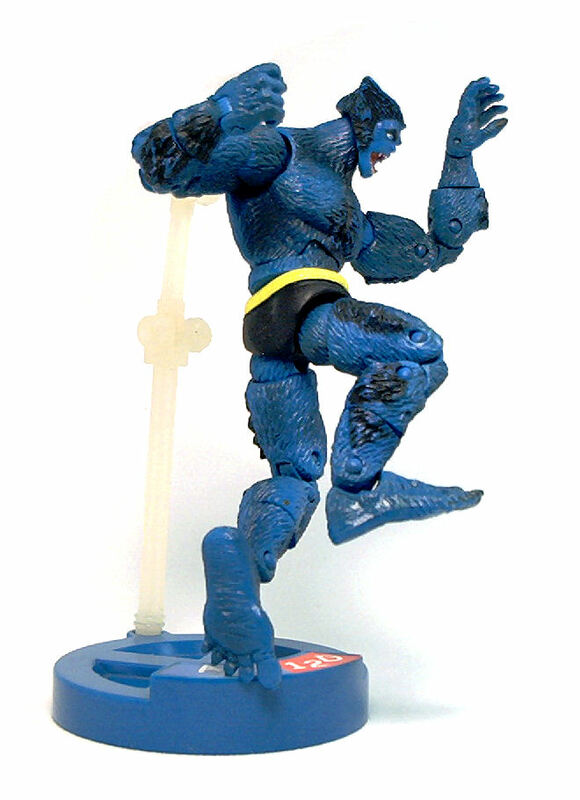 Beast was one of the characters that got made into Toy Biz’s Marvel Superhero Showdown line and is, in my opinion, one Hasbro is going to have to work really hard to top. 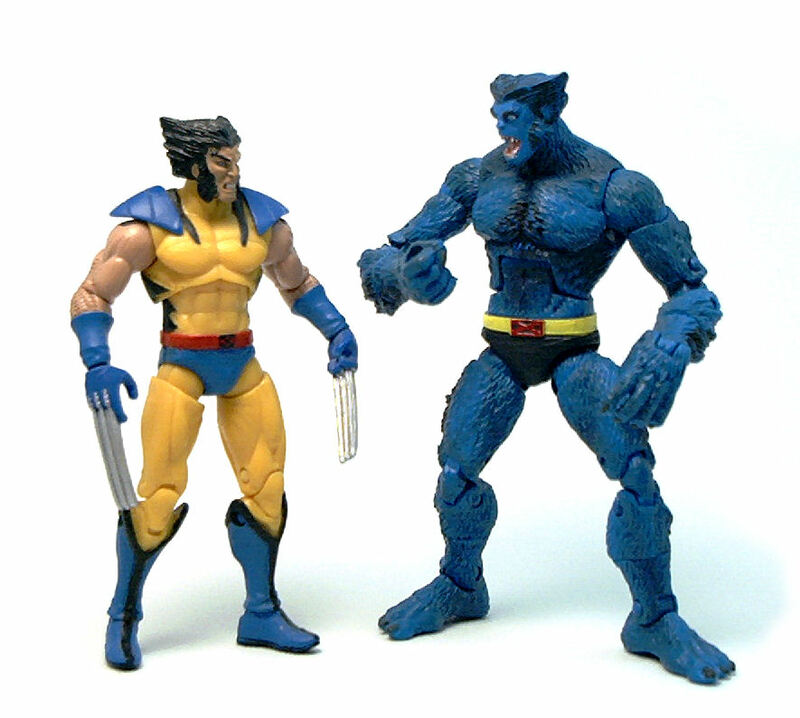 As usual with the Toy Biz figures, Beast has a completely unique body sculpt that manages to retain most of the articulation model used for the larger Marvel Legends figures. 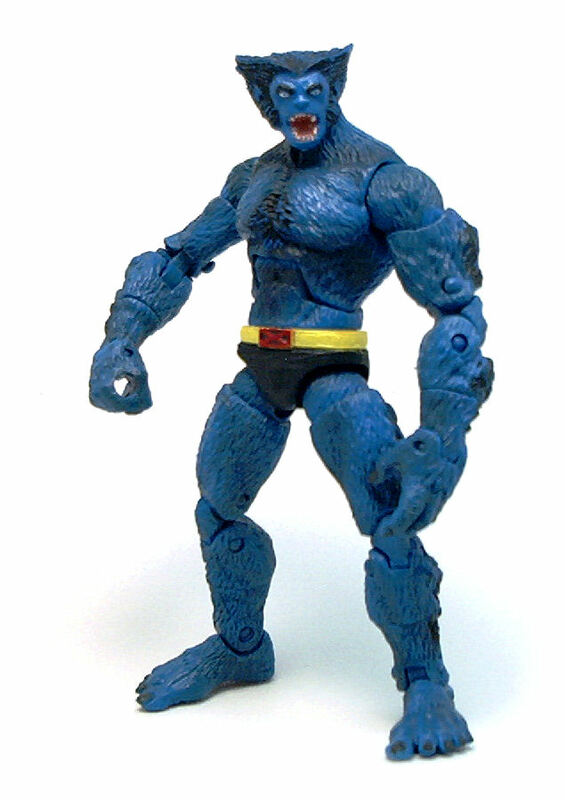 Toy Biz released two versions of this character, one molded in gray plastic with the head sculpted with the mouth shut and this blue version sculpted with an open mouth, which looks rather silly unless the figure is in an all-out-action stance. • Ball & hinge ankles. Despite the number of joints, Beast is a very stable figure and can stand and hold a pose without much trouble. 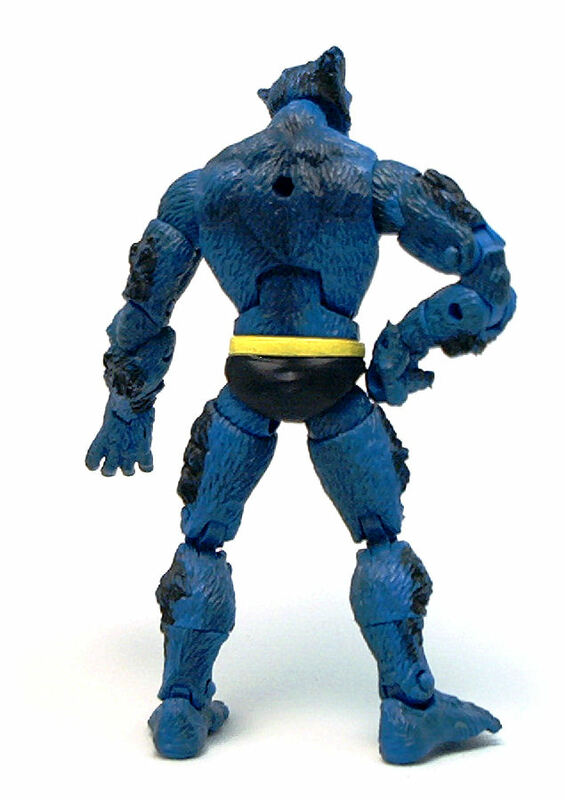 The paint operations on Beast are minimal, since the figure is made from blue plastic. However, there are some dark paint patches applied to the fur to add some depth and enhance the underlying shapes. This version of Beast comes with the mouth wide open, and thus the interior of it has the corresponding painted details. If anything, I feel the face should have had some more shading applied to it, because in certain lighting conditions is really hard to make out the nose amidst the sea of blue plastic. Like all of the individually packaged MSHS figures, Beast comes with a round display base, a clip-on projectile launcher, die and a handful of playing cards. Out of these, the base is possibly the most useful item to have, as it includes a white articulated arm that allows for multiple posing options. 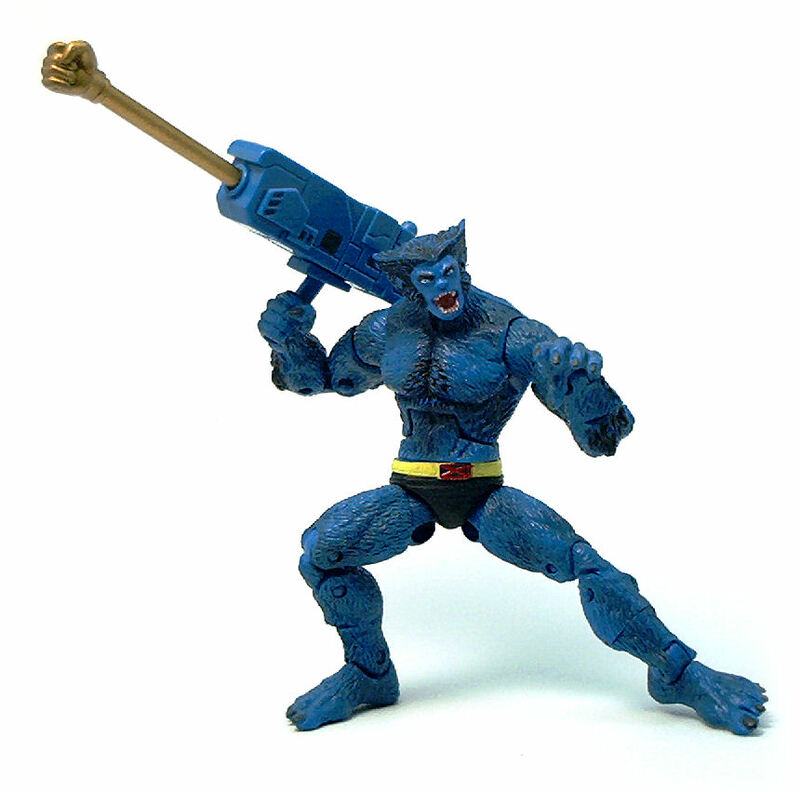 Since Hasbro is likely to use the modern, more cat-like character design if they ever decide to include Beast in their Marvel Universe line, I’d say tracking down this version would be worth your time and, Who knows? it might even save you some money. I like the body of this figure, just not the head. I would imagine the open mouth looks good for a fighting figure, but I just never have thought of Beast that way. I got this figure to add to my Marvel universe X-Men, seeing how at the time there was no Beast figure (and with the feline Beast now released we will probably not see this Beast, even with the classic X-Men and the X-Factor sets released). Like you I could not take the open mouth, so I took an Xacto knife sliced into his mouth more and super glued his mouth shut, well as closed as you can get and he looks fine to me. Hello again I have some pics if you want to see them.